Acura’s entry-level ILX starts at $28,820 including destination. Our test car was fitted with the AcuraWatch Package, which brought the total to $30,120. 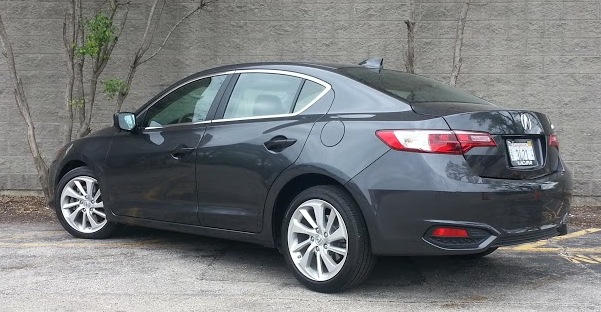 In its more basic form, the 2016 Acura ILX is a refreshingly simple and straightforward car. But can it be too much so for people to accept it as an Acura? 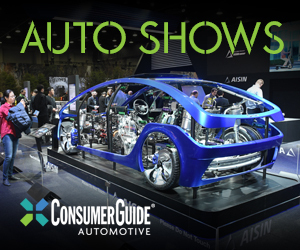 Consumer Guide® test drove an ILX with AcuraWatch Plus equipment. In typical Honda/Acura fashion, this constituted a distinct trim level, and brought with it a compass; multi-information display (MID); and a suite of electronic safety features including adaptive cruise control, collision-mitigating braking, lane-keeping assist, road-departure mitigation, forward-collision warning, and lane-departure warning. That’s what comes for $30,120 delivered. However, if you want things like leather seats, satellite radio, rear cross-traffic alert, or even an automatic-dimming rearview mirror, you have to spend a little more. A lot more buys navigation and more involved infotainment technology—and that’s probably more in line with what most people have in mind when they think Acura—even one from the premium-compact class. Although originally offered with a smaller 4-cylinder engine, a manual transmission, and in a hybrid version, the ILX now comes only with a 201-horsepower 2.4-liter four and 8-speed automatic transmission. As CG reported when this revamped version of Acura’s entry-level car bowed at last fall’s Los Angeles Auto Show, the ’16 ILX gets updated front and rear styling, new safety features, nicer interior materials, and available 18-inch wheels. Choice in powertrains has been eliminated: It’s now the carried-over 201-horsepower 2.4-liter dohc 4-cylinder engine and 8-speed dual-clutch automatic transmission or nothing. Acura says that body rigidity is improved; the suspension has been retuned to enhance handling; and increased insulation, thicker front-side door glass, noise-attenuating wheels, and Active Noise Control technology are employed to make the ILX quieter. While not utterly noiseless, the car is commendably quiet. Steering is nicely weighted and has pretty good feel, fostering a sense of connection with the road. Brakes in the test car responded very quickly to pedal pressure and stopped in a hurry. The ride has some firmness—but not stiffness—to it, though pavement joints and cracks that this driver crossed registered with more noise than might have been expected, and sometimes a stout jolt. At those times, at least the car felt as if it were shaking as a single unit, so there’s your rigidity for you. The engine is strong enough for undramatic highway entry and easy cruising, but on/off/on-power situations generated loud, unpleasant jolts through the driveline. In a test stint of 162.2 miles, 71 percent of it in city-type driving, this driver recorded 26.66 mpg. That’s about par for the car’s EPA estimates of 25 city/36 highway/29 combined. Note that the ILX only drinks the good stuff—Acura recommends premium fuel. Some might find the monotone interior a bit drab, but the materials match the price, and the ILX earns points for its simple control layout. There’s a pleasing amount of head and leg room up front, and seats are bolstered for good support. Though maybe not Volkswagen Jetta-like in terms of back-seat space, it’s really not too bad for adults, and the virtually flat floor increases hopes of fitting 3 across in a pinch. Controls in the fairly basic test car were easy to master and use. Setting and accessing radio stations on the color screen in the center of the dash was dead simple. Climate controls with a pair of dials for temperature and a small array of function buttons sit low in the center stack but still within easy reach. The MID between the large speedometer and tachometer dials is just big enough to be easily legible, and thumb buttons on steering wheel make it easy to scroll through its menu of monitored vehicle conditions. As for in-cabin storage, there’s a big glove box but a small console box and very small front-door pockets (with bottle holder). Twin exposed cup holders reside in the console. Below the climate controls sits a covered bin with a USB connection to carry an iPod. Rear storage is just a pouch on the back of the front passenger seat and 2 cup holders in the pull-down center arm rest. 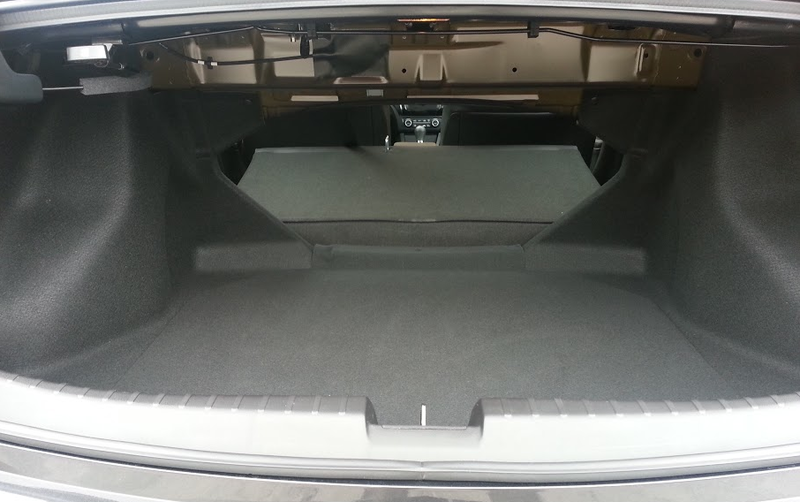 Trunk volume is good, but folding the one-piece rear seat back leaves a “step” that prevents long items from being slid through the restricted opening. The trunk is ample, however. It’s very wide near the back, and squared off so more types of luggage, boxes, etc., might be able to be stored upright. The gooseneck hinges are covered to protect cargo. The pull of a lever in the trunk releases the undivided rear seat back for more cargo space, though there’s a little bit of a height difference between the trunk floor and the folded seats. Also, a bulkhead narrows the opening through which long items must pass to reach the interior. The basic ILX starts with features that include a 6-speaker audio system, USB audio interface with iPod integration, Bluetooth compatibility for hands-free phone and streaming audio, Pandora compatibility, a rearview camera, keyless access, push-button starting, dual-zone automatic climate control system, LED headlights, and 17-inch aluminum-alloy wheels. The AcuraWatch Plus equipment adds $1300 to the starting tab. 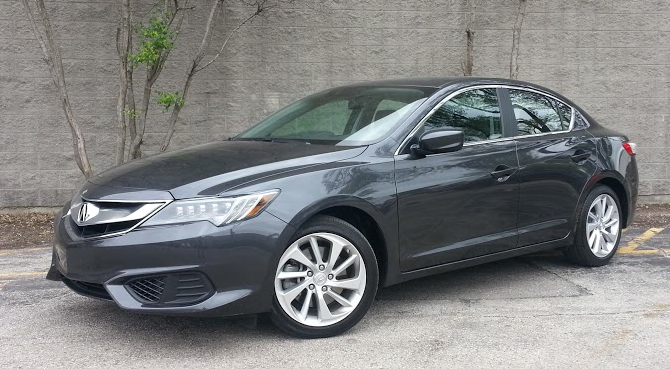 However, it’s only another $700 to the ILX Premium Package, which buys the aforementioned leather upholstery, satellite radio, cross-traffic alert, and auto-dimming mirror but replaces the gaggle of electronic safety monitors with numerous comfort and convenience features. That probably comes closer to what more people think of when they think of an Acura. With its new powertrain, the ILX represents a real step up from the Honda Civic with which it shares a common architecture. Unfortunately, the ILX doesn’t feel especially sporty, unlike the excellent TSX which it replaces. It’s built on the same platform — and is the same size — as the Honda Civic, but the Acura ILX brings ritzier furnishings, greater power, and more features to the party. The ILX will likely serve the want-to-be junior executive well, as it presents a classy front. The cabin feels fairly upscale, the styling is clearly Acura, and the 2.4-liter engine underhood provides a healthy dose of go power. Still, things about this smallest Acura disappoint. 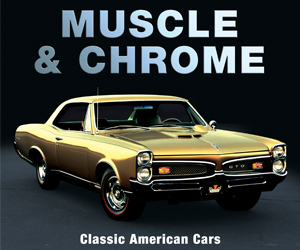 The engine throbs classlessly at idle, and sounds a little coarse in low-speed acceleration. Likewise, the new 8-speed double-clutch transmission, which performs flawlessly during full-throttle maneuvers, is prone to random clunkiness at low speed. There’s a buyer for the ILX, it’s just not the guy thinking about a BMW 3-Series as his next car up the ladder. This new entry-level Acura is more about looking the part than playing the part, but that’s not all bad. What’s Behind the Acura Logo? Written by: The Daily Drive staff on May 27, 2015.on January 29, 2018.